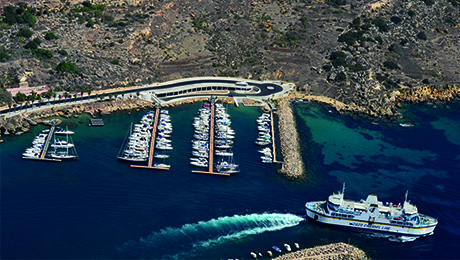 Melita Marine in Malta came highly recommended to us by Captains who have used their full refit and repair facility for yacht maintenance, refit or large conversions; they boast a large dry dock, 300 skilled & experienced workers and a great location in the Med! Utilised by the refit and repair companies on Malta, PMS has substantial facilities for repairs / refits within a totally fenced area and a dock with a 30m high retractable cover for improved environmental control. DG Maritime Services come highly recommended as a comprehensive refit and repair service, providing damage and risk assessment and other surveys, preparation, supervision and execution of repairs/refits, and various surveys for the Maltese commercial yacht coding compliance. Bezzina is a complete Ship and Yacht repair / refit facility. Repairs can be carried out on steel, aluminium, CRP and wooden yachts. They have 3 floating docks for vessels up to 130m. Strategically located in the Mediterranean, some 93 km south of Sicily, right on the main shipping route between Gibraltar and the Suez Canal, Malta and her neighbouring islands have throughout history played an important maritime role. Sea Breeze, Triq Giuseppe Cali, Ta' Xbiex MSD 14 Malta Yacht Repair Services, a subsidiary of S & D Yachts, can carry out fabrication and repairs in G.R.P. 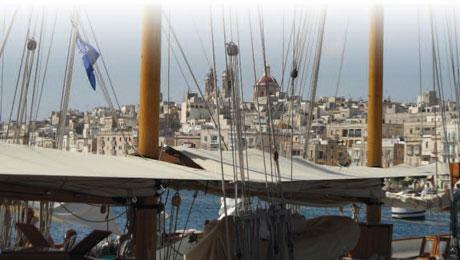 as part of the complete refit and repair services they provide for professionally crewed yachts in Malta. Cassar Ship Repair, founded in 1967, is a leading ship repair yard in Malta, with a full range of services including emergency repair, scheduled maintenance, damage repair, and conversion work. Their recommendations are impressive, and they will respond around the clock for urgent service.